A vintage inspired sparkling treasure for weddings or special occasions, this antique gold hair clip looks like an aged heirloom. Divine! Adorning a romantic loose side bun or securing hair into a beautiful half-up style, our Elegance of Gold Hair Clip adds the perfect touch of classic Old Hollywood glamour. 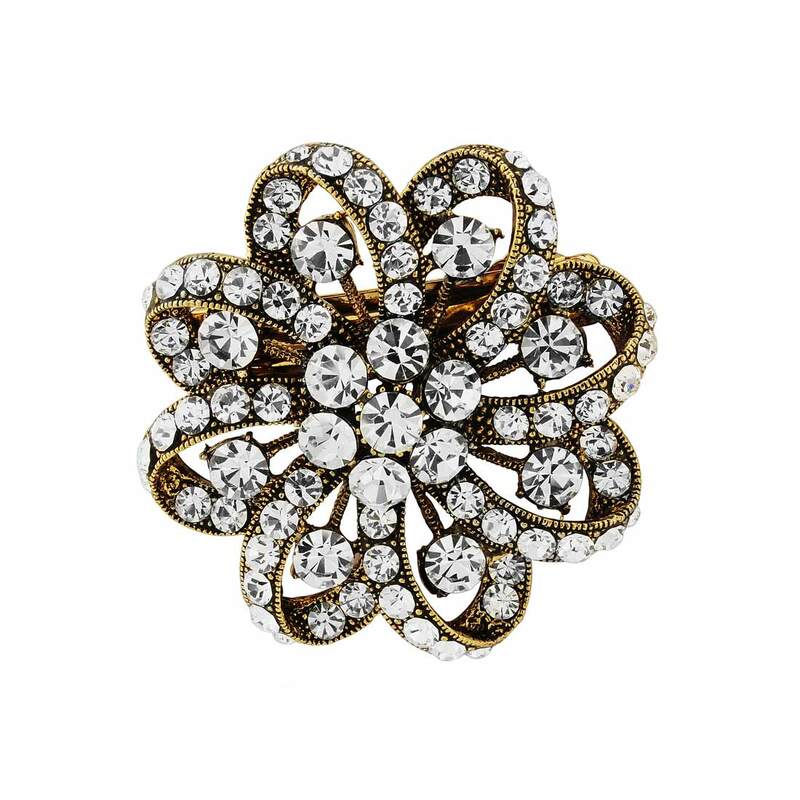 Inspired by vintage hair accessories from the late 1930s and 1940s, this exquisite barrette features an antique gold tone rosette encrusted with sparkling Austrian crystals. A beautiful wedding hair clip for brides who adore the charm of yester year, this timeless piece would look sensational accessorising an antique lace gown or pale golden silk bridesmaid dresses. Simply team with a pair of drop earrings for a look worthy of a Starlet. Beyond the big day, Elegance of Gold Hair Clip is perfect to add a glamourous touch to every special occasion. Whether you're searching for something a little different to wear to the races or to sparkle at a glitzy party, the warm metallic hue of this shimmering clip is sure to make a style statement.